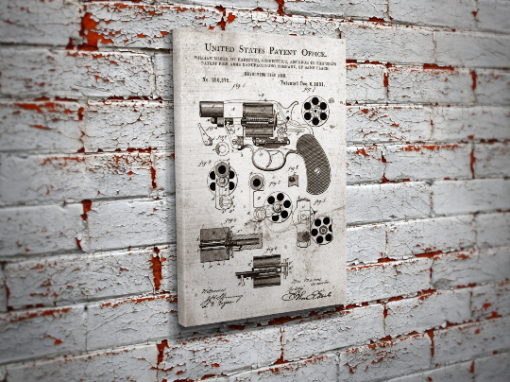 This patriotic 12″ x 18″ and 3/4″ deep Colt patent design print is the perfect piece for your man cave, basement, bar or anywhere around the house that you want to show your patriotism and love of revolvers, Colt firearms or just Americana. Printed on high quality 17 Mil Artist Canvas and gallery mounted on 3/4″ stretcher bars, be the envy of your friends by showing them how much love you have for Merica’! This patriotic 3/4″ deep Colt patent design print is the perfect piece for your man cave, basement, bar or anywhere around the house that you want to show your patriotism and love of revolvers, Colt firearms or just Americana. 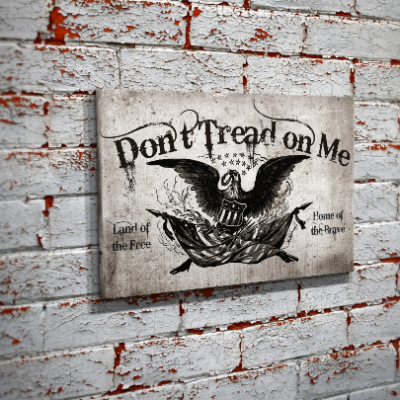 Printed on high quality 17 Mil Artist Canvas and gallery mounted on 3/4″ stretcher bars, be the envy of your friends by showing them how much love you have for Merica’!